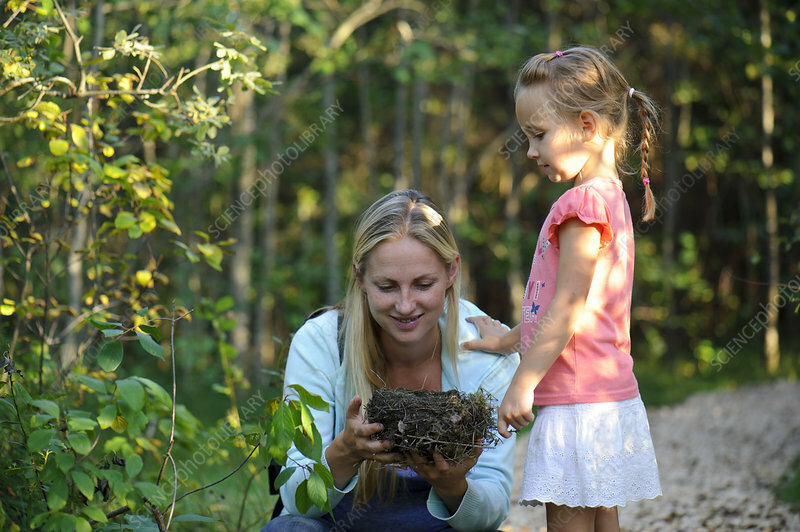 Woman and child looking at a thrush (Turdidae) nest. Southern Estonia, August. Model released.